Since the invention of the simple car, car manufactures are always on the lookout for ways of making a car journey comfortable and entertaining. And as technology advances they have been able to make changes to this machine whose main purpose is transport. This year's auto show in Frankfurt, Germany has prompt me to look at how the concept of the car has changed from simply a means of transport to something that has become one with us (the driver) and now desires to be one with our home. The automobile has been with us since the 18 hundreds. 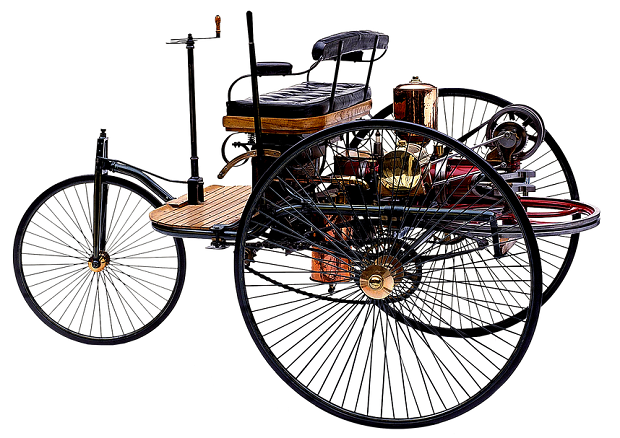 1879 saw the arrival of the first stationary gasoline engine developed and patented by Carl Benz, a name that is now synonymous with all different types of cars. Before this others have been credited with developing mechanical means of transport going back even further. As the car evolves we use it to symbolise wealth and power, manufacturers have chosen different areas to define their model of car. They have competed on toughness (safety), reliability, speed, prestige and how economical it is to run, eco friendliness (low to zero emission), it ability to self drive and connect; I am sure you can think of more. Among the many criteria that manufacturers compete against each other with, entertainment, eco friendly, self drive and its ability to connect with the driver and its surrounding has been the main criteria fuelling competition among manufacturers. These criteria have forge partnership across different industries. With the advancement is silicon technology, chip manufacturers have become car manufacturers key partners. The machine that was once define by mechanical parts and fuels has evolve into a smart machine, with the ability to read its driver and its surroundings. Technology is even being used to cheat the system as it relates to fuel usage and it effect on the environment. Following closely behind the chip manufacturer are software developers and telecom companies. Now we hear frequent accouchements of partnerships between car manufactures such as Audi, BMW, Chrysler, Daewoo, Ford and General Motors and software companies like Microsoft and Google, even telecom providers AT&T and Sprint are in on the act. Even Amazon which started out as an online book store, now a technology company have been roped in. With all these partnerships coming and going we as car buyers now have a long list of options to chose from when selecting which car to buy. There is always a buzz at CES each year to see what services car manufacturers are creating with these partnerships. Toyota as gone as for and setting up a separate division (Toyota Connected) to analyse data produced while we drive the car. According to Toyota, "Toyota Connected will leverage the power of data science through Microsoft’s Azure cloud technology to develop predictive, contextual, and intuitive services that help to humanize the driving experience while pushing the technology into the background." This should give you an idea of where the once simple car is going. This week at the 2017 Frankfurt Motor Show we saw Renault vision in its concept car, the Symbioz. 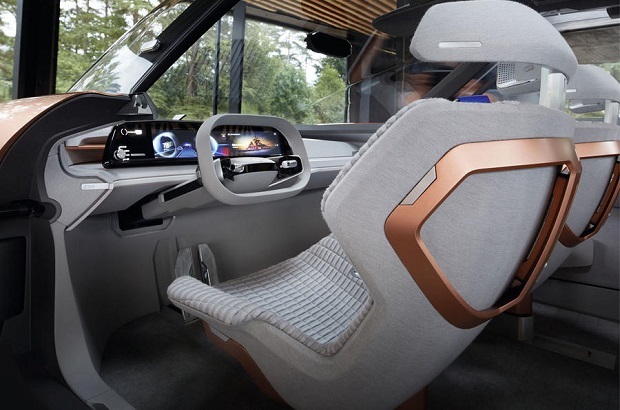 According to Renault, "Symbioz is more than a car — it is an overarching and ambitious concept that envisages a vehicle interacting with the home and, more generally, all kinds of connected devices, appliances and infrastructure." This criteria was never a major area of this motor show but with the growth of the connected home and connected car, the car is being looked at differently. 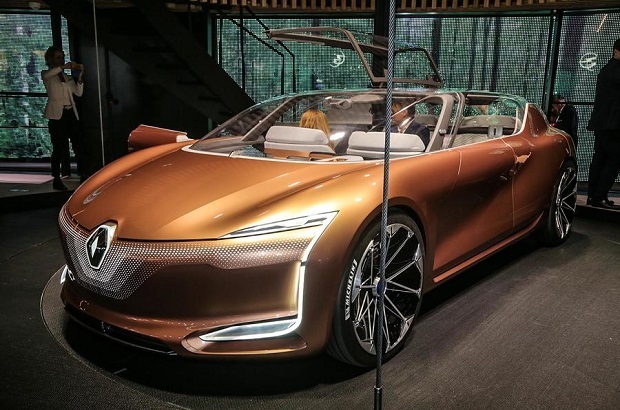 The Symbioz is 100 per cent electric (concept) connected self-driving car, which according to Renault is in line with their zero-emission strategy represents the brand’s vision of mobility, looking ahead to 2030. Renault envisages the car of the future sharing its energy with the home via the smart grid, all piloted by artificial intelligence that can anticipate users’ needs. "It’s therefore be possible to use energy stored in the vehicle’s batteries to temporarily power lights, screens and other home devices during peaks in consumption", said Renault. "In the event of a blackout, this could happen automatically, with power sharing monitored and adjusted via a screen in the home or on the car dashboard." Visitors to the Frankfurt Motor Show were able to see the concept car in action in various simulations and scenarios. The Symbioz's dashboard is retractable and the front seats swivel, to allow the driver to relax easily when using autonomous driving mode (self driving). Onboard customisation technology can even automatically detect the identity of the driver and occupants to configure their seats, music choices and other passenger comfort features. So who would have guessed that from the Benz of the 18 hundreds we would be looking at a Renault, BMW or Toyota the way we look at a car today; not to mention the interaction. The method of energy may have move between fuel and electric but the services, features and functions are growing as car manufactures entice us to buy their model.